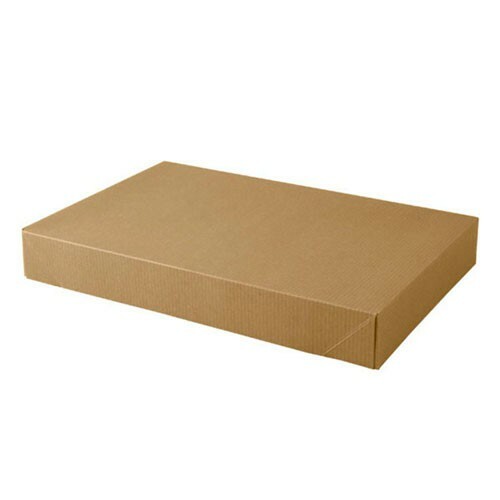 Two-piece natural kraft apparel boxes are a retailer favorite! These boxes are made with natural kraft board with embossed pinstripe grooves that add texture and style. 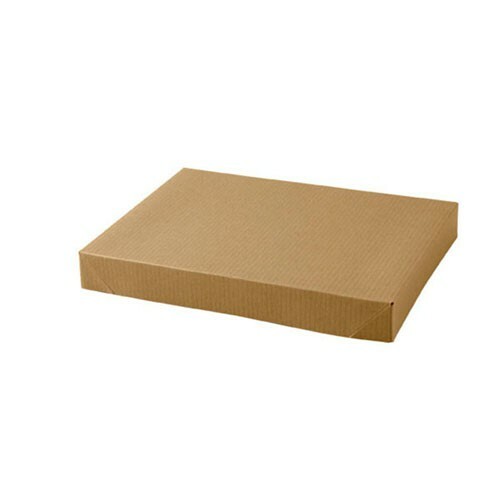 These eco-friendly bags are recyclable and are made with 100% recycled materials. 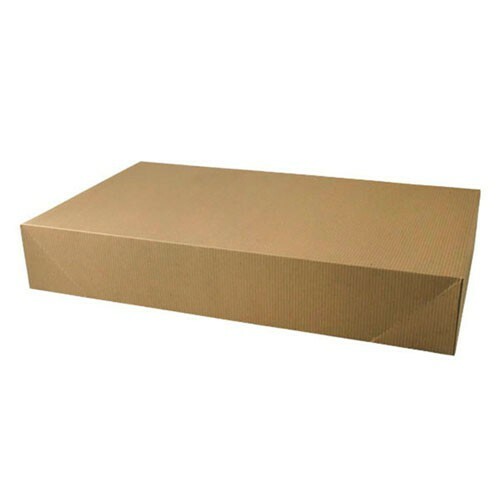 Boxes can be stored flat until use, and have easy pop-up assembly. 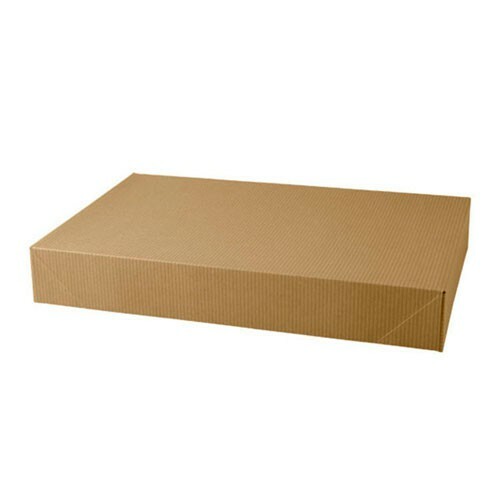 These apparel boxes are perfect for clothing and accessories retailers and can be used as gift boxes. 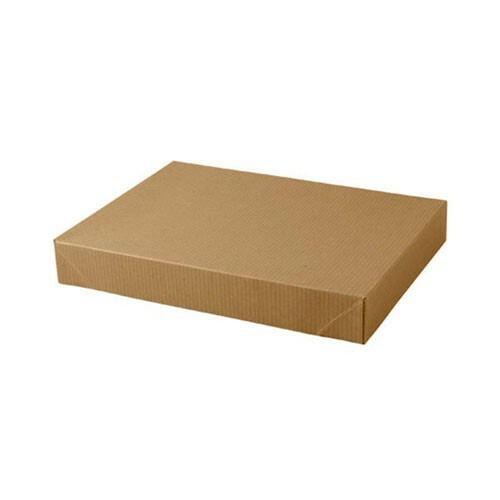 Save on storage space and costs using these affordable two-piece apparel boxes!